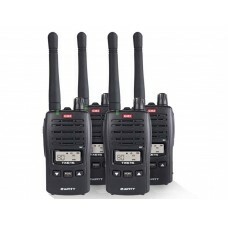 Four GME TX675 UHF CB handheld radios complete with desktop and 12V chargers packaged up in a handy carry case. - 2.0/0.5 watt RF power: Selectable transmitter power allows you to conserve battery power when transmitting in close range by using the Low Power setting. 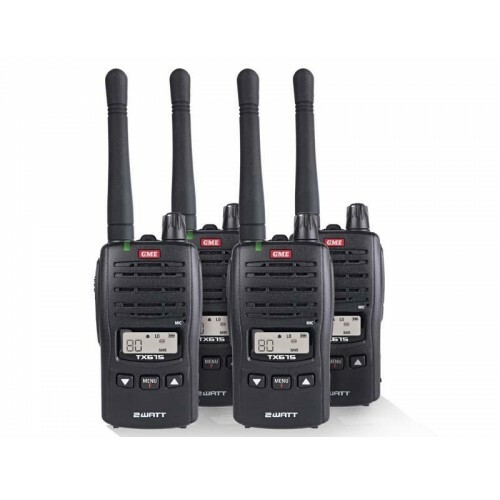 - Compliant SpecificationMeets AS/NZS 4365 for radio communications equipment in the UHF citizen and personal radio service. - Number of Channels80, (75 voice, 2 telemetry RX only, 3 for future use).